Oh hello, long time no speak. 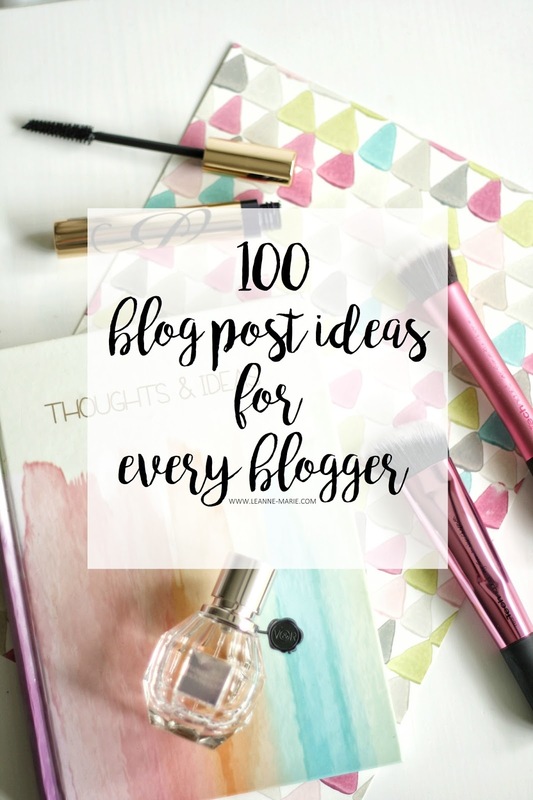 So it appears I decided to take a bit of a laid back approach to blogging and when I say laid back, I mean not blog at all! Usual excuse, life gets in the way bla bla bla. 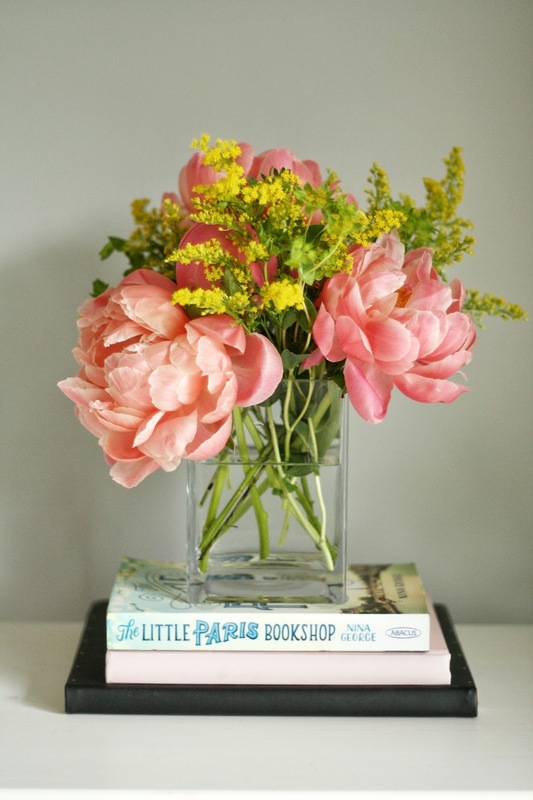 Basically, I've come to the realisation that I do not blog as a job, it is a hobby. Therefore if I want to be sporadic in posting then I will! The world will not end if I don't post on the regular! Anyway I digress... I wanted to come back at you all with a bit of a payday A/W wishlist post thing. In my time away I've gone from being one of those girls that doesnt like to shop much, to the girl working out if Beans on toast is an okay meal to have daily for the rest of the month because I've spent too much... . So without further ado, here are some of my A/W picks. 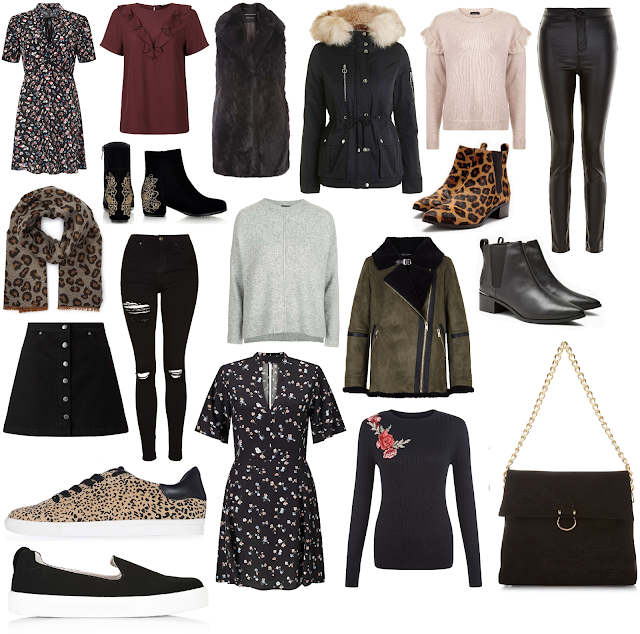 I love the colder months for layering, so that's where my head is at right now when it comes to shopping! Think pretty tea dresses with ankle boots and fab jackets. Snuggly jumpers and building on those basics, all the comfortable trainers and cosy scarves! I am thinking about the upcoming months too, I really want to get the Parka jacket for our trip to Amsterdam in November along with the leopard trainers. A purrrfect (ha did I really just do that) addition for the girl that lives in black clothing! 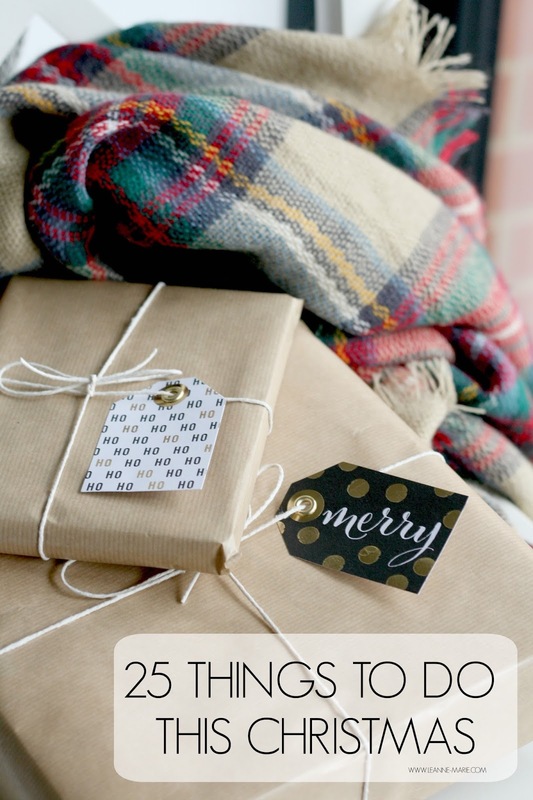 I'm also trying to plan ahead and think of Christmas and (dare I say it) NYE. I don't think it's ever too early to be looking for a party dress, the season is approaching guys! We need to be prepared! Even if you are just going out for a meal with work/friends, its nice to have something a little more special to wear! What have you been buying this season? Chances are once I've finished this post I'll probably be making an online order for a couple of the above bits! As you can see I've gone for some classic styles and then some other curve balls like the open toe boot from Miss Selfridge. There's a girl who gets the same train as me in the mornings to work and she always wears boots like these, Over time they've grown on me and now I would like a pair! I also would like to experiment with boots other than the colour black! So the Dune Pander boots ended up being bookmarked, as they are a really nice burgandy shade which I think would look great paired with a classic pair of black skinny jeans or even with little tea dresses and tights. 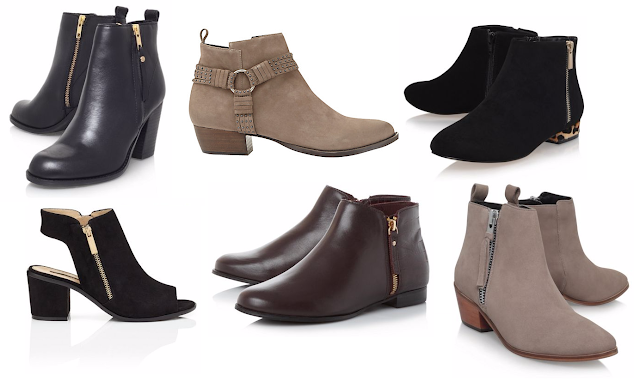 I am a low heel or flat boot kind of gal, so they would be perfect for the upcoming months! I'll probably end up buying a pair in October after payday! This month I am on a mission to get going with reading again. I've got slack these past few months and now I am pretty behind on my 2016 reading challenge, so September is the month I am going to try and make up for not getting though much recently! If you read my posts last week you will know that we are going on holiday this month so I am hoping a week of lying by the pool will enable to me to get some serious reading time in. The following 3 books are ones that I definitely want to read during September. So fingers crossed I achieve that! To all the Boys I've loved before - Jenny Han. I picked this up in a charity shop (another 95p special!) Everyone needs a little bit of chick lick to read poolside! I remember this doing the rounds online when it first came out and I believe it had decent reviews. It's one I think I will fly through while on holiday. The text is quite big and spaced out aswell, which usually is an indication that I'll read through it releatively quickly. Living in crumbling Brooklyn apartments, holding down jobs as actors and writers and eschewing the middle-class sensibilities of their parents, graduates of the prestigious Oberlin College, Lil, Beth, Sadie, Emily, Dave and Tal believe they can have it all. When the group come together to celebrate a marriage,anything seems possible. But soon the reality of rent, marriage and family will test them all. For this fortunate age can't last for ever, and the group must face adulthood, whether they are ready for it or not. Sprawling and richly drawn, A Fortunate Age traces the lives of the group during some of the most defining years of modern America - from the decadence of the dot com boom through to the sobering events of September 11 and the trailing years that followed - this brilliant, ambitious debut novel perfectly captures the hopes, anxieties and dreams of a generation. There's no secret that I love a thriller/mystery and this blurb got me hooked. I was a big fan of Clare Mackintosh' 'I let you go' so I'm interested to see if this book has the same sort of twists and turns as that one did (even though its a completely different author!) If it does I'll be really pleased! It's had quite good ratings on amazon and goodreads which is a positive! This may be the first of the three I get stuck into to be honest! What's on your September TBR? This weekend, if you fancy treating yourself to some new beauty bits you need to either get online or head on down to your local House of Fraser as they've got a pretty good deal going on featuring lots of popular brands. Estee Lauder, Bobbi Brown, NARS & YSL to name a few. Perhaps you need another bottle of Double wear, you've been eyeing up one of my Urban Decay Naked Palettes or like me, you require a new bronzer to help your summer tan last. HOF should be your go to store. 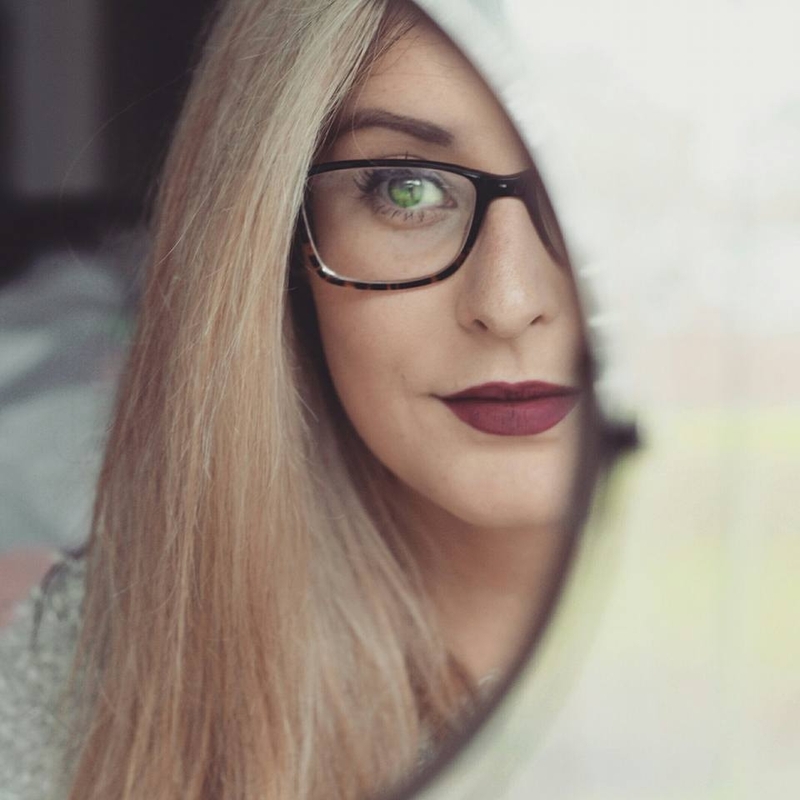 Running until the 11th of September House of Fraser have their Spend £50 and get £10 off beauty event, redeemable against a variety of different brands. 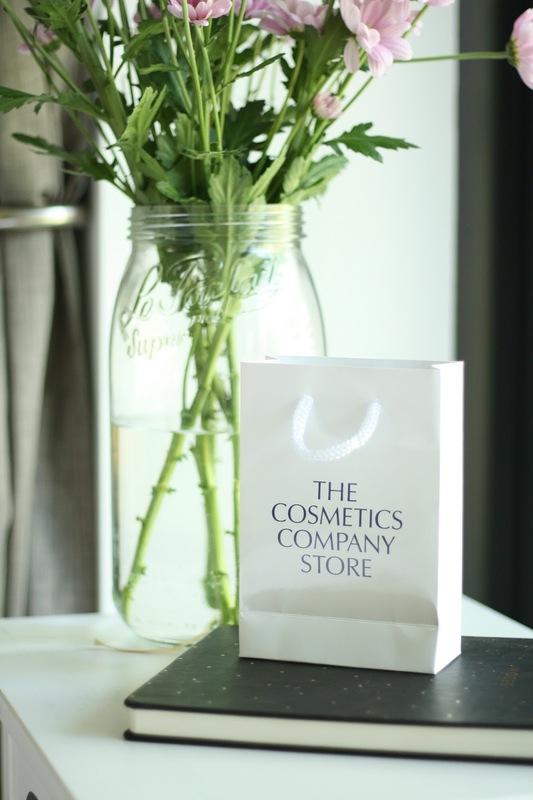 I've taken full opportunity of this deal in the past when I held a beauty masterclass with fellow blogger Lorna and it's one not to be missed. Who doesn't love money saving especially on the higher end beauty purchases Buy something for yourself and then treat a friend. or just treat yourself to a few new products. For the full selection of products available in this offer just follow this link. The following are a few products within the deal that I would recommend to you, having used them myself & being impressed. 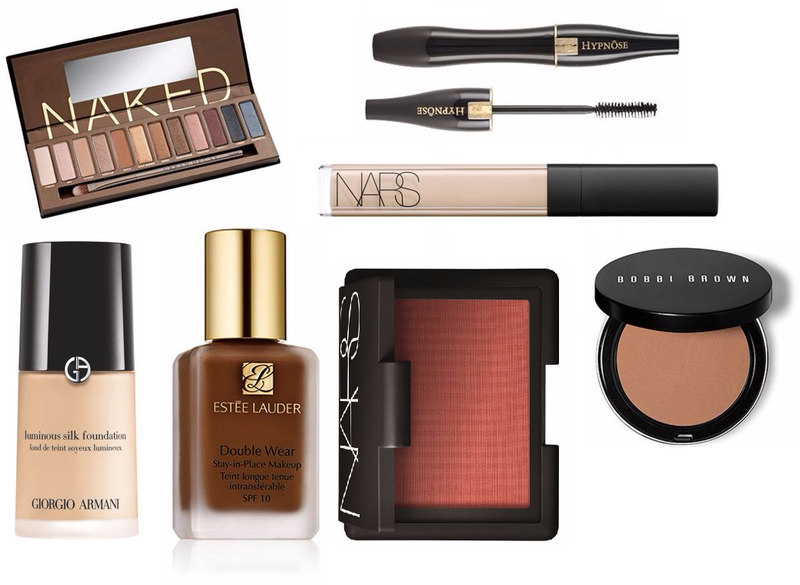 The Naked palette is a makeup collection staple. It has a lovely range of shades which are perfect to take you from Day to night. If you want a palette that will provide you with Neutral, bronzey and smokey eye looks then this one has it all. Giorgio Armani Luminous silk is a treat foundaiton for me but god it's good, so good I wore it as my foundation on my wedding day. As it doesn't have SPF in it, it's really good for photographs & comes in a huge variety of shades! Combine the NARS Creamy concealer and you are onto a winner. If you like foundations to be full coverage and not budge all day, ELDW should be your pick, one I am always repurchasing this! NARS blushers are my favourite as they are so pigmented and again, they are available in such a good selection of shades! I've got a few Bobbi Brown products and this bronzer is a new addition, which I am sure I will enjoy using. BEAUTY : How to clean your Beauty Blender. 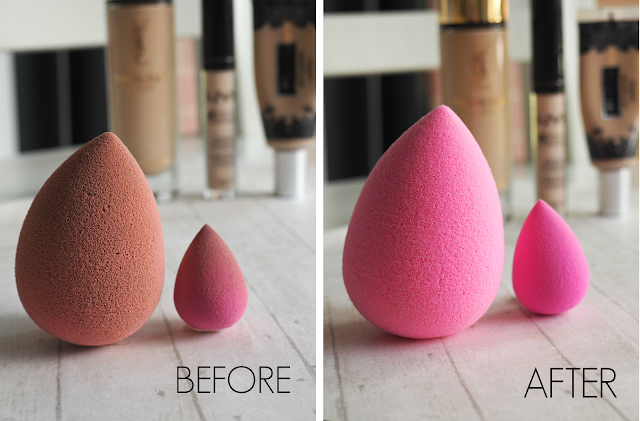 If you haven’t bought a Beauty Blender to use with your foundation yet, why not? That little pink sponge is the answer to the perfect base application in my opinion! Yes it may seem a little ridiculous to spend £16 on a sponge, however it does the job and blends your foundation into your skin like a dream. The once downside to using a beauty blender to apply your foundation/concealer is that it gets dirty rather quickly, therefore it looks a bit grubby sitting in on your dressing table. I’ve tried many different soaps and cleansers to clean the little pink teardrop, however there is one soap that has come up on top and that is the Dr Bronner Liquid Soap. I bought mine in TKMaxx, however you can purchase it from Feel Unique for the same price I paid which is £8.99. However you can purchase orther size bottles depending on how much you want to pay. It comes in a variety of different scents (I have unscented!) so you’re bound to find one that you find most pleasing. I also use this soap for my makeup brushes, so worth checking out if you only have brushes to clean too! 2. Take the Dr Bonners Liquid Soap and apply it evenly all over the beauty blender. 3. Using the same Squeezing technique as you would to dampen. Ensure that the soap is massaged into the sponge thoroughly to ensure all bits of foundation/concealer will be removed. 4. Add a little bit of water to the Beauty Blender to create a lather. 5. Continue to massage/squeeze the blender to attack all that stubborn makeup! 6. Finally run under the warm tap again to remove all the soap, continuing to squeeze the sponge until all makeup has been removed. 7. Put on the side on top of a towel to dry. It’s a really easy process and does not take long at all. As you can see above, my beauty blenders are back to their bright selves! To avoid a huge build up of makeup, I try to wash my beauty blender every couple of days. I’ve learnt from leaving the cleaning of makeup brushes in the past that if you do it on a regular basis it makes it A LOT easier to get them cleaner! If you don't have a beauty blender and want to get one, then you can get one from here. The smaller are actually by W7 makeup, and I purchased them from Peacocks. You can purchase the Dr Bronner soap here. What do you use to clean your Beauty Blender/Makeup brushes? You know me, I love a good highlight. Powder, liquid, cream. I'm not picky, as long as it gives me that glow I am a happy bunny! 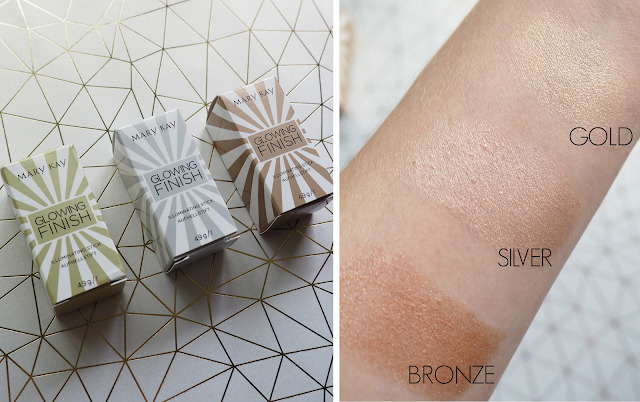 My collection is always growing as more and more brands bring out new products, and this month, Mary Kay have launched their Glowing finish illuminating sticks which come in three different shades; Gold, Silver or Bronze - Getting full on Olympics vibes right now! These illuminating sticks were created for you to either use alone - perfect to add a bit of glow to your tan while on holiday. (Because lets be honest, going mainly makeup free on holiday is the done thing) Or you can use them with your normal makeup to give your skin that added bit of glowiness. The cream formula means they are very easy to apply and can blend well. I alternate between creams and powders all the time. 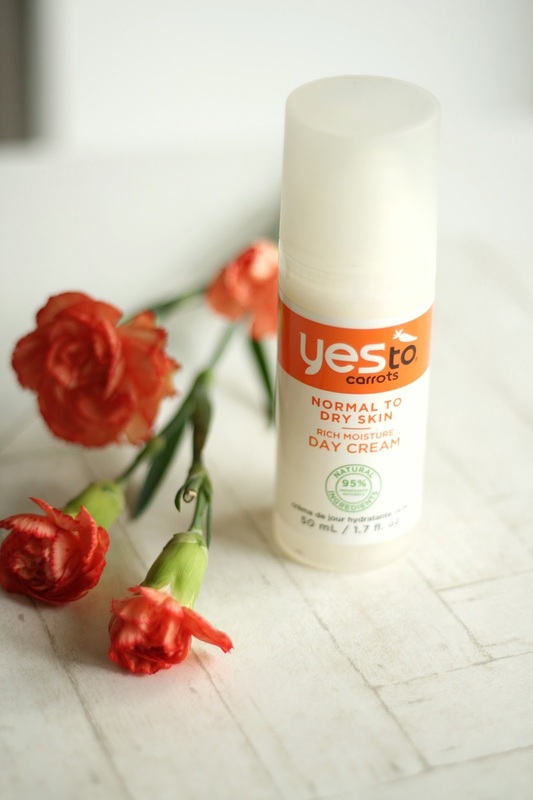 I tend to reach for my cream products in the summer months, so these have landed on my doorstep at the right time! The gold shade is very gold,with quite chunky gold glitter particles in it. which whilst looks pretty, doesnt suit my skin tone too well. However I like to think of other ways I could use it & i feel it could work well as a cream shadow if I wanted to go for a really gold based eye look. The Silver shade, isn't as silver as I was expecting, however it is still really nice as it has pink undertones. Therefore its slightly more on the verge of rose gold than a true silver toned highlight, which isn't a bad thing. I feel it would be a good shade for those with paler skin. Unlike the gold shade there arent any large glitter particles, just pure illumination! The bronze shade, is a true bronzey/slightly copper shade, which I know would look lovely when I have a tan from my holiday. Again unlike the gold shade, you cannot see any large glitter particles which I like. This one will probably be coming away with me when I go to the Canaries! These glowing finish illuminators retail at £11 each, which if I am honest, I think is a little steep for the size that they are, However because they are small, it means they don't take up much room in your makeup bag so are perfect for traveling, or throwing into your handbag! Anyone else end up with various products floating around their bag? Just me? These are a nice addition to my highlight collection that I know I will get a fair bit of use out of going forward! Have you tried anything by Mary Kay? What are your favourite kinds of highlight? BEAUTY : How to deal with Holiday Hair. Yay, you’re on holiday. You’ve arrived safely, your luggage made it. You’ve had a few cocktails, sunbathed, taken a dip in the pool, everything is great... oh wait what’s that – Your hair is having a moment, it’s going crazy? Monica Gellar frizz? It feels dry? Its gone green?! Keeping your hair in good condition while on holiday should be as much as a priority as your skin. No need to worry, there are many products out there to help you out. Make sure to take a leave in conditioner with you. I like to have mine with me poolside too. When I’ve had a dip in the pool (or sea if I’m at the beach) I like to brush through my hair with my trustee tangle teezer Aqua* and spritz some product in. The one I like to use is by Phyto. Their after sunrecovery Spray. Firstly it smells amazing. Secondly it’s a really good product to use throughout the day, as it doesn’t leave my hair feeling heavy or sticky. It works to detangle my hair and continue to protect it while out in the sun. I’ve sometimes use this after showering in the evening as a additional treat for my hair. Another conditioning product I like to use is the Aussie 3 minutemiracle treatment. Aussie have now brought out one specifically for holiday hair! – Woo! Whack this on after your usual shampoo and conditioning routine. Leave for about 5 mins max, then rinse. Your hair will thank you. It will look shiny and feel so soft. You’d never know you’d spent the day on the beach with messy salty beach hair all day. To keep frizz at bay I use a little bit of Morrocan oil on my hair to smooth any flyaways. When I say a little bit, I really mean the smallest amount! Alternatives would be a serum. I have one in the depth of my haircare drawers by KMS which I may end up taking with me too. No one wants Monica Gellar hair on holiday! A very inexpensive way of making sure you keep your hair nice and nourished while on holiday would be to have a tub of coconut oil with you. My Tub is from Superdrug and costs less than £3 Now I would say this is something you could do if you know for a fact your hair is going to be battling with the elements. It’s not a necessary step that you HAVE to do, but one I thought worth mentioning. You probably do overnight coconut oil treatments at home, so why not do one while away. Slather your hair with the coconut oil, put it in a bun/plaits (whatever takes your fancy) sleep on it and rinse out the following morning. When it comes to hair styles, the go to easy ones would be topknot for around the pool or plaits (various kind – oh how I wish I could do a dutch braid) and au natural (With the help of some products) for the evenings. Using tools like curlers/straighteners in the heat are just annoying. On holiday is the time for scrunching up and creating natural waves with the help of a salt spray ( I like to use Bumble & Bumble surf spray), or experimenting with different techniques to create a unique updo. You’re on holiday, have fun! How do you tame your hair when away on holiday? BEAUTY: Nail polishes to show off a tan. I think you can all agree with me that when you have a tan, you will dress in a certain way to show it off. No I don't mean rocking up in the office after your trip in a tiny co-ord with lots of flesh on display. I mean, we focus more on wearing colours that will accentuate our tans after a week/2 weeks in the sun. The main culprit being white, I always like to save a white outfit for the end of our holiday if my tan isn't as epic as I like, the white dress will help! haha. Or I'll opt for some nice white blouses while back in the office. It's sad but I don't want to return home from a trip abroad and get the whole 'you arent very tanned, did you even go away' comments. 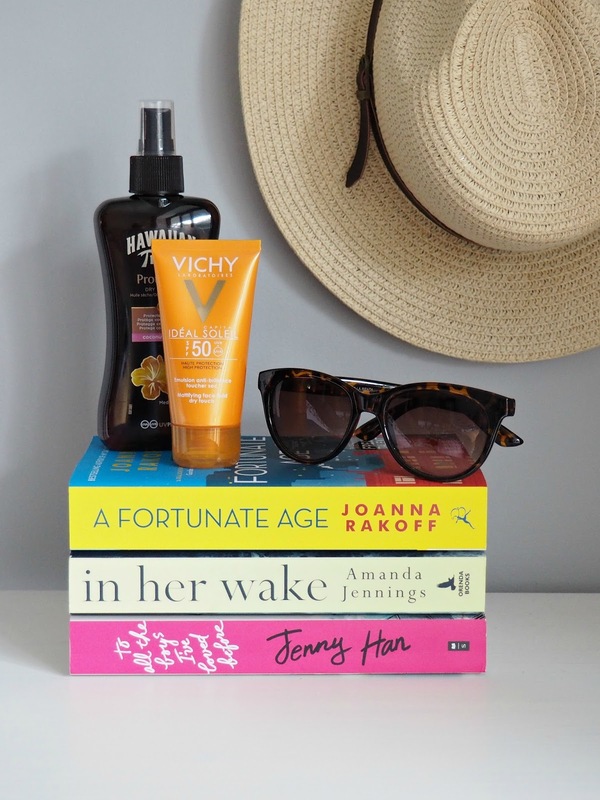 Of course I practice safe sunbathing (Have a look at this post to see what sun protection I am taking with me away) but I like to focus on little things here and there which will help make me look super tanned. One of the most simple ways of doing this is to paint your nails coloours which compliment a tan. Now I know there are a few brands on the market that actually promote some of their shades as polishes for tans. Models own do this, and you can shop their range here. But I'm not in the market to go and buy some new nail polishes as I have enough in my collection already. So after rummaging through my stash, I've come across 3 different shades from Essie, which will probably be on rotation during and when I am back from my break. Essie, Bikini so Teeny was a blogger favourite a few years ago, and rightly so! This shade is a lovely light cornflower blue with a subtle shimmer to it. I've worn this quite a lot in the past, and always had compliments on it! It's one that can work all year around but works especially well with a bit of a tan to your skin. Essie, Fiji was another blogger favourite. This is a shade I repurchase a lot because it's so dammn nice. Its a creamy pastel pink, that isn't too white so that people ask why you've gone back to tipexing your nails. (Who else did that at school?) Because it is so light it is perfect to paint your nails on holiday, as your tan develops fiji will be sure to show it off. Essie, Cute as a button. Now of course when going away (or returning) from a holiday you need to have a few brights on you nails and this shade ticks the boxes. It's a beautiful coral shade that's just bright enough to wow you but not too florescent. This one may be my go to shade for while I am away. I find that Essie polishes apply really well and only require a couple of coats for a lovely opaque finish. Sometimes I will use Seche Vite as a topcoat as it dries ridiculously fast, however recently i've been using the CND Vinylux Weekly top coat which has done wonders at keeping my nails chip free for about 6 days - not a complete week but better than other top coats I've tried in the past! I'd recommend it! What shade polishes do you like to wear when you have a tan? BEAUTY: Holiday Sun protection Sorted. The most important thing to bare in mind when going on holiday to a hotter climate is sun protection. Over the years I have learnt from my mistakes and take it a lot more seriously than I did in the past. I remember mine and Toms first holiday together, we both got so sun burnt on our first day that it just put a downer on the rest of our break. Over the years I have become more aware of what I should and shouldn’t do while in the sun. Starting with the products I use. Now this is not necessarily sun protection, but I felt it was worth mentioning before I get to the nitty gritty. For the past 2 years pre holiday I have used the Elemis Tan Accelerator lotion 2 weeks before going away on holiday. It’s a moisturiser you use daily on the lead up to going away. The tosolin; which is made up from polysaccharides preps your skin for sun exposure, promoting a more natural deep tan. I can honestly say that going forward I will never go away without using this first. I find I get a much nicer colour, and don’t burn, now this may be in combination with my more savvy sun protection but it works, so is a product I will continue to use as part of my holiday prep! Back in the day I would have opted for low factor sun creams from the get go. My thoughts were if I used a higher factor then I wouldn’t tan. The reality is, using a higher factor doesn’t completely stop you from getting a tan, it just reduces the speed that you do and protects your skin from the sun better, than if you were to say solely use factor 8 while away! These days for my body, I always start with a factor 30 for the first couple of days. Let’s be honest, it’s rare our skin sees proper sun in the UK so it’s probably a bit of a shock at first! My brand of choice for the last couple of years has been Piz Buin. I like to use the sun sensitive allergy versions, mainly because this type helps combat prickily heat. Which if you are a sufferer of, know that it can get really bloody annoying when you have it! The result may be different on other people, but for me it really helps combat the issue! Towards the mid part to end of my holiday I will probably switch to a lower factor product. This year I have gone with the Hawaiian Tropic protectivedry oil in factor 15. (Now I may purchase factor 20 as well, just incase I don’t want to jump down a factor so drastically) Not only will this protect my skin it also moisturises at the same time. It is water resistant, but like all sun protection I always like to do a top up after being in the water, regardless if it says it won’t come off. It’s better to be safe than sorry! A lot of people like to reduce the amount of sun damage on their face, myself included. That is why this year I am taking the Vichy mattifying face fluid infactor 50 on holiday with me. I chose this firstly because of the high SPF and also that it’s mattifying. – I dislike my face feeling greasy in hot weather so this is the perfect product. Again it states that it is water resistant, but I will topping it up on regular intervals to ensure maximum protection. Other non product based things you should take with you when planning to lie out in the sun would be a good sun hat. Whether it be a large straw hat with a cheeky slogan, trilby style or even a baseball cap. Not only will this offer protection for your head (No one wants a sunburnt hair line, trust me I’ve experienced it and its horrible) you can also use it to completely cover your face if you don’t want it directly in the sunlight, or you know, to look super stylish around the pool! To accompany your fashionable but practical hat, you will also need sunglasses. They are an essential. I have a selection of pairs, but I tend to use cheap ones around the pool. The amount of times you may drop them, higher risk of standing on them etc. I will not be taking my pricer shades pool side; they can just make an appearance in blog photos! No one wants to squint in the sun; it’s just going to give you awful frown lines on your forehead! Remember to keep hydrated when sun bathing too , always have a bottle of water with you, or keep making trips to the pool bar for a cheeky cocktail/mocktail. Finally, the sun is hottest from 11am to 3pm. During that time make the most of your parasol over your sun bed, pop up it up and read a book/snooze for a couple of hours in the shade. What are your sun protection tips when going on holiday? For once after being a bit of a Moaning Murtle year after year regarding the fact I have no appropriate clothes for warmer weather, I am finally taking action and beginning to purchase some bits and pieces! SHOCK . I’ve come to the realisation that I cannot get away with living in jeans or jeggings all through summer because sometimes, the UK is good to us and provides with a little bit of sunshine! With that being said I have found myself doing A LOT of browsing online on various websites, booking marking a lot of different items I’d like to get to update my summer wardrobe! The following are just a few bits and pieces I have picked out that I feel would make good additions & would work well here in the UK when the sun is shining & also when I go away on holiday later in the year! I am quite short so I do struggle to find maxi dresses to suit me. I always have to head to the petite section! I’m lucky that petite ranges are becoming more of thing, so I have more of variety of styles to choose from! Despite the struggle to find them,I do like maxi dresses as you can literally throw them on, whack on a pair of sandals, slap on some Factor 30 & you are good to go. Perfect for evenings on holibobs! Denim shorts are a summer staple. I don’t actually have any pairs that fit me anymore *sob* so a new pair is definitely needed, sticking to my comfort zone of denim but without the leg suffocation skinny jeans bring in the warmer months! I think the floral shorts make a nice addition for when it’s warm & you have something a bit fancier to go to, pair with a nice cami top and you are ready to go. The lightweight fabric makes them ideal to take away on holiday too. Playsuits are a summer essential for me, more so when I go away on holiday, but there are some really nice ones available that would also be UK Summer appropriate. This one from Lipsy is so pretty. I love the detailing! This year I’ve become a bit of a fan of the ol’ espadrille shoe too! I did have a black pair but they fell apart, so instead I’m eyeing up these pretty lace ones! I think they make a nice change from wearing my converse in the summer, which can get a bit hot! There are probably a lot more holiday bits I’ll end up purchasing before we go away/during the summer months but these are a couple of items I will be sure to make sure I have in my suitcase this year! What are your holiday wardrobe essentials? Yes, we are in a heatwave, Yes it appears summer has arrived, however we saw the rain at Download. We saw the rain at Glastonbury. With many other festivals still to take place throughout the summer months, & the UK's weather is known to be unpredictable the last thing you want to do is be caught out with inappropriate footwear. 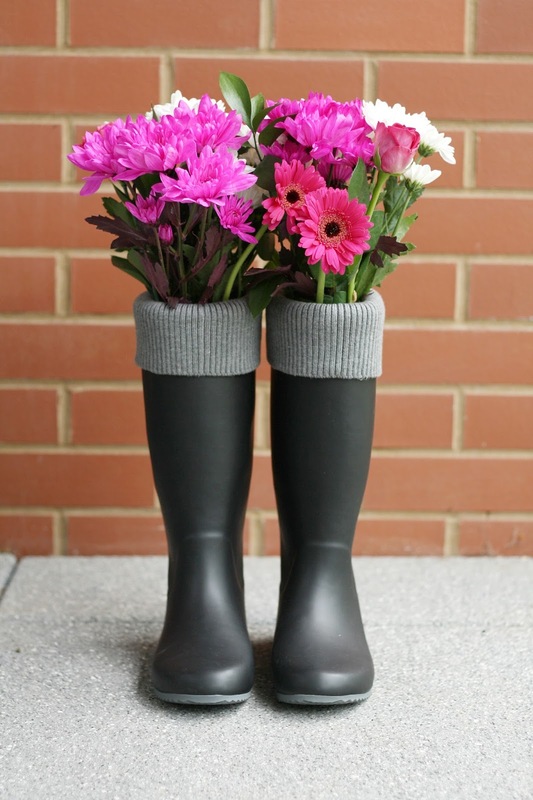 You need the festival essential that is a pair of wellies. If you aren't wearing your wellies to your destination, I think you will agree that they do take up a bit of space. They are a bit bulky to lug around. 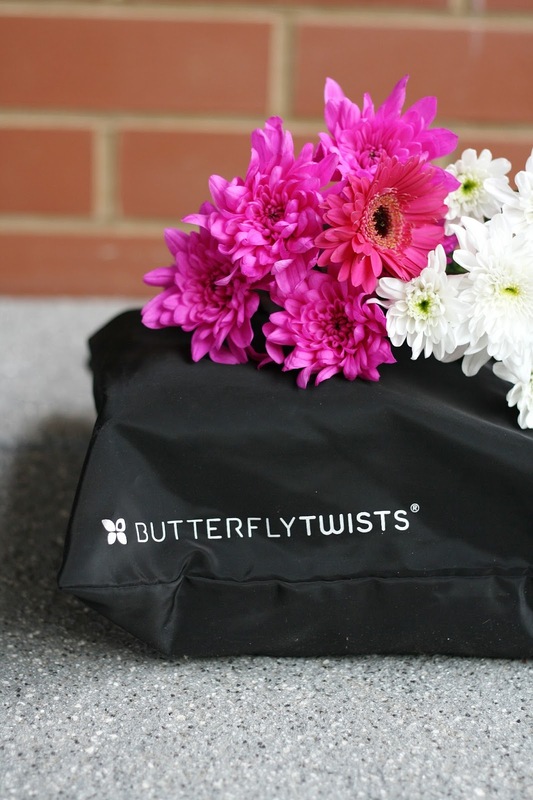 The wellies from Butterfly twists are lightweight and flexible making them really easy to fold over and store in the little drawstring bag that gets sent with them. Thus making them more compact & take up a lot less room. Also handy for after the festival if there is mud.... keep that mud contained and don't ruin the inside of your car! Unlike other brands that offer stylish wellies, the ones from Butterfly Twist are really affordable, with the most expensive pair being £60. For a pair of boots that will keep my feet warm in the rain and snow (I realise its July and talking about snow sounds ridiculous, but you know I've got to express my thoughts and opinions all all aspects of welly wearing! haha) The fabric band at the top of the Windsors are a god send, especially if you are wearing the boots to a festival with a cute summer dress or some cut off jeans. I really hate it when the tops of the wellies rub your legs! It's so frustrating. With these I dont even need to worry about getting wellie socks to protect myself. Win Win! Will you be taking a pair of fold up wellies to your next festival? When the weather is so unpredicable its worth making sure you have something like this on standby, not worth getting your converse caked in mud and ruined! I'm going to Reading Festival this year and these will definitely be on my feet if it's chucking down with rain! BEAUTY : Healthy beauty tips for women. 1) Drink plenty of water: This one of the most effective beauty tips you could follow on a daily basis. By consuming enough water, you can forget all about your skin and complexion problems. Water helps hydrate your skin, relaxes your mind, keeps away those wrinkles and fine lines and has many other benefits. 2) Eat the right food: Food also plays a major role in maintaining healthy skin. Eat as much legumes, fruits, vegetables, eggs and lean meat as possible which helps keeps you healthy and strong. 3) Relax: There is no point in stressing. Try to find ways in which you can keep the stress under control and keep yourself engaged in fun activities online. GameVillage Bingo is an online gaming site that provides for a rich selection of games and keeps you entertained almost every minute. 4) Adopt a new exercise: Exercising is not all about dropping the weight. Regular exercise gives you a healthy, glowing look; helps you to be more positive; keeps your mind busy and helps you to concentrate better on whatever it is you are doing. 5) Sufficient sleep: What many women fail to realize is that sleeping also plays a major part in maintaining healthy skin. Good amount of sleep is a must to a healthy skin. Make sure you get sound sleep and relax your mind fully. Try to have at least 6-7 hours of sleep everyday. Hope these tips have helped you in more ways than one. Now, there is nothing that can stop from being the most beautiful girl you know! BEAUTY: What's in my Makeup Bag? 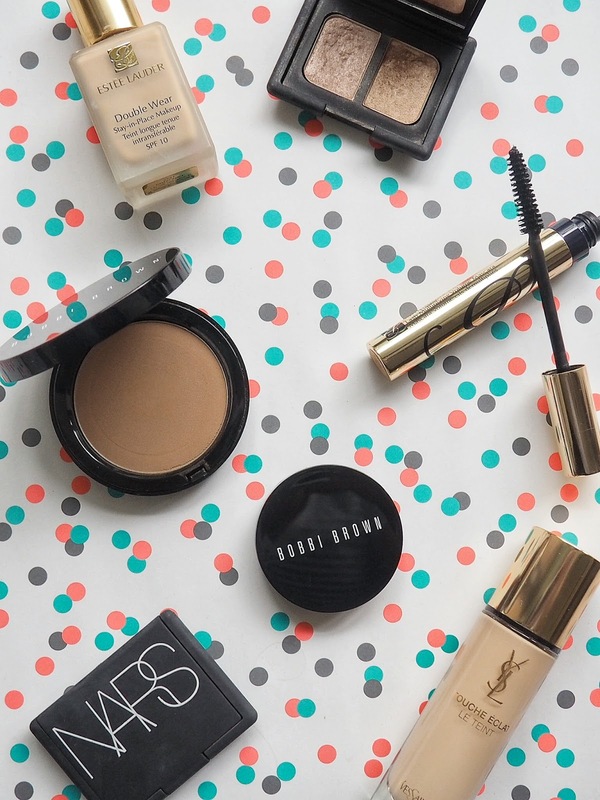 Recently I’ve been keeping it fairly straight forward when it comes to my daily makeup. 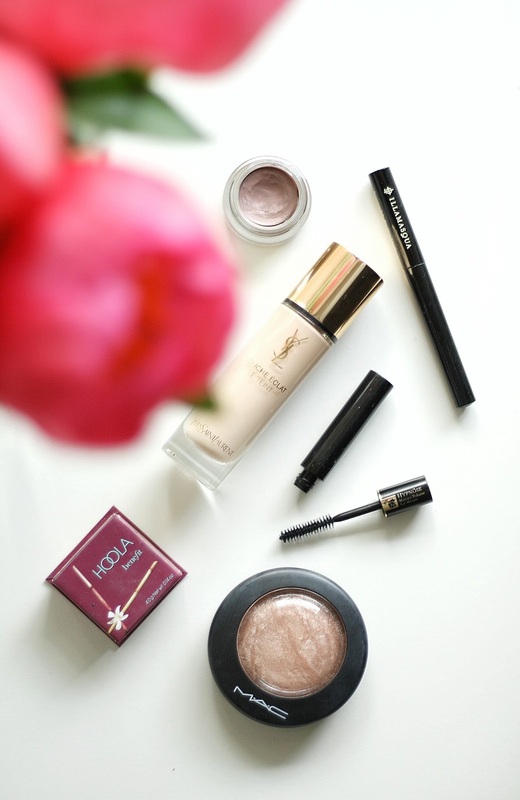 Reaching for a few new products and some old favourites. Don’t get me wrong I like to mix things up now and again but the following products are currently working best for me so I don’t think I’ll be switching it up any time soon. As mentioned in a previous post I have been loving the YSLTouche Eclat foundation that I purchased back in April. I won’t dwell too much on it as you can read my thoughts in this post, but it’s a firm favourite for the time being, a bit on the pricey side when it comes to a base product but worth it in my opinion. For a bit of light contouring and bronzing I have been trying Benefit Hoola. Can you believe I had never used this before. It’s such a cult product! I ended up buying a mini version from Boots for less than £10, which I think is reasonable if you want to give it a try. I use a Real Techniques Settingbrush to apply it – Totally breaking the rules there but it’s what is working for me to get in and create some cheekbones! I can see why this is such a raved about product. The colouring is perfect & it blends really well. My daily look wouldn’t be complete without a bit of highlight, for this I’ve gone back to an old favourite; MAC Soft &gentle MSF. Despite having lots of other highlighters in my collection I always go back to this one. I highly recommend it if you are looking for a new highlighter. It lasts absolutely ages and just looks stunning on your skin. 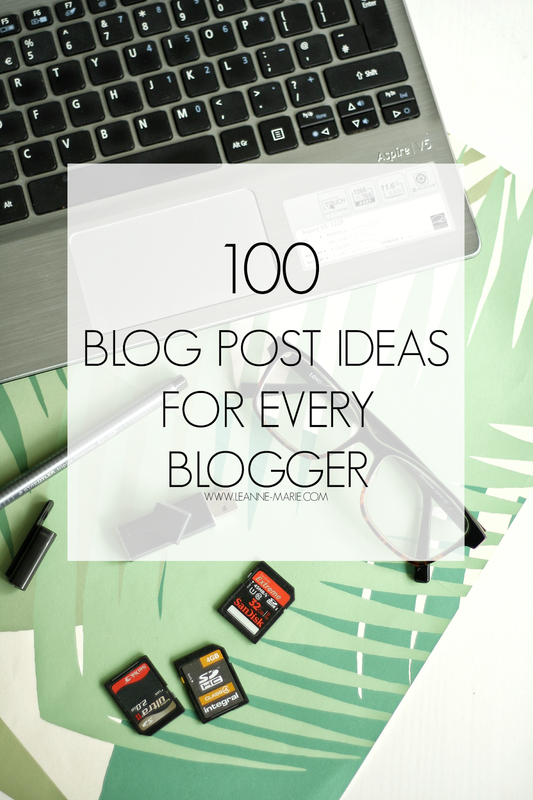 A favourite among many a beauty blogger! When it comes to Eyes I have kept it relatively simple with MAC’s groundworkpaintpot providing me with a little bit of colour to my lids. Yes If i apply too much of this I do end up looking like I’ve got a bit of a black eye. Less is more! However it’s quick and easy for me to apply in the mornings. If I’m going for eyeliner I will use the Illamasqua Precision Ink liner which I got in my Latest in beauty Spring beauty box. It’s the blackest eyeliner I have ever used! I love it. A definite repurchase when it runs out , that’s for sure! I’ve got a selection of sample mascaras floating around my dresser at the moment, for now I am using the Lancome Hypnose mascara which I am really enjoying. I’ve used it before in the past so I knew I would like it. When this runs out I will just move onto one of the other samples I have. I’m quite indifferent with mascaras I’m happy to just swap between brands unless I find one that I really dislike then I will just completely avoid... Sorry Revlon! I have realised that I forgot to photograph the brow product I like to use. I will not leave the house without my brows done! I feel naked if they aren’t sorted! I like to use the Soap & Glory Archery pencil in Hot Chocolate. For £8 it doesn’t break the bank and does the job, so i will always use this until something better comes along! 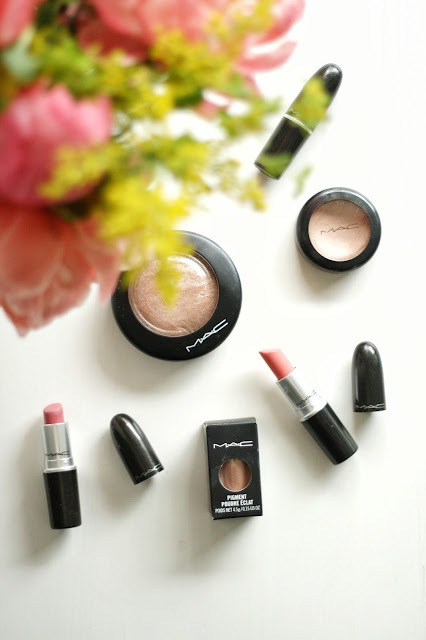 BEAUTY: The Back to MAC recycling scheme. Do you want to help the environment. Are you a fan of makeup? Did you answer yes to both of these questions? Well in that case, have you heard of the Back to MAC program MAC Cosmetics run? For those who have a few products from MAC, and those who have a whole collection full, this is a scheme that is worth getting involved in. 1. Because you are doing something good to help the environment and 2. Your efforts will be rewarded in the form of new makeup! The Back to MAC program requires you to return 6 primary packaged products when you are finished with them. Primary packaging can include the following to name a few; Eyeshadow, blush, MSF, Powder, Fix+, Lipsticks.... I have heard you can also return the packaging for the makeup wipes too. If you aren’t sure, gather up your empties and take them to store, someone working at the counter will be able to confirm which they accept. Alternatively if you purchase something from a MAC counter you could ask there and then if it is part of the scheme. After returning 6 empty products you can choose 1 lipstick for free as a ‘thank you’ from MAC for recycling. I believe that if you go to a stand alone store rather than a counter within a larger shop then you may be able to get a free eyeshadow or Lipgloss instead. It varies. But if you go to somewhere like Debenhams or House of Fraser you will only be offered a lipstick for your empties. I guess it depends what you have your heart set on. I know I’d be happy with a free lippy! When it comes to choosing what lipstick to get, you can have any of them apart from those in the Viva Glam line, as the full sale of these go to charity. I currently have 3 empty products sat in my dresser draw, ready to go back to MAC. I don’t own that many products from MAC in the first place so it may be a while until I am able to get my free lippy! Despite taking a while, I will still persevere and get those illusive 6 empty products to try out the scheme as I think it’s such a great idea. Other makeup brands should do something similar in my opinion! Had you heard of the back to Mac Scheme? Have you ever tried it?